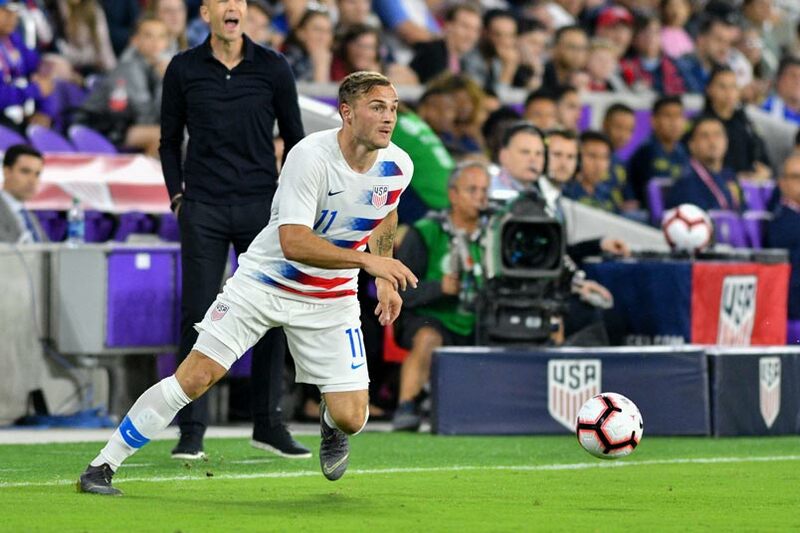 The USMNT started the March 2019 international window with a 1-0 shutout of Ecuador at Orlando City Stadium. A deflected Gyasi Zardes shot in the 81st minute was the game's only goal. Sean Johnson kept the clean sheet. Coach Gregg Berhalter's tactics and personnel decisions showed throughout the first-half. The USMNT played with composure on the ball, winning corners and pressuring the Ecuador defense. The best chance of the half came in the 30th minute when the USMNT sent the ball across the frame of goal. Ecuador had opportunities on the counter, absorbing the USMNT pressure. The second-half featured more of the same with the USMNT creating the bulk of the opportunities in the attacking third. It felt great to get an opportunity to get another goal for the US Men's National Team," Zardes told ESPN2. "I thought the team played extremely well due to the short amount of time we had to prepare for this match. I thought we did a phenomenal job today." The March window ends for the USMNT on Tuesday in Houston against Chile (8pm ET - ESPN2).